Here, I'll post things that I think you'll enjoy. 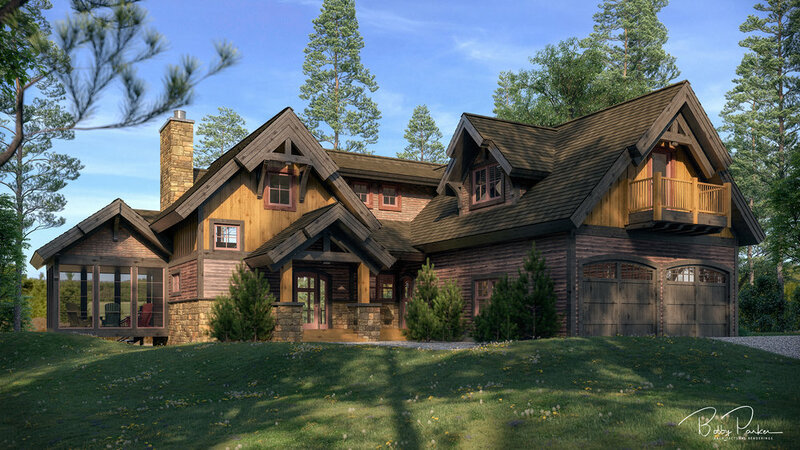 Most of my posts will be about architectural illustrations, 3D renderings, new software, and anything else cool. When I first went digital I was very impressed with several digital artists. After inquiring, one reason their work was better was their understanding of light, shadow, and composition. However, the biggest difference was their post-production skills. The reason for this is, it is their eye that makes their work special. There isn’t a single workflow check list to go down, so it isn’t something you can just share; each project is very different. Look, step back, squint your eyes, and flipping your image are all tricks of the trade. Add color, remove color, play with increasing or decreasing brightness are key. The first thing I am usually asked is what render engine do I use? They ask because they think it matters, it doesn’t. Yes, some are faster and they might have different features, but none can take the place of the artist eye. Below you’ll see the RAW render (straight out of the render engine) and then the final color-graded post-production image below. The first one is what you’ll usually get from your typical rendering service, If they are good with light, shadow, and composition it might be okay. The second one is why you hire someone who is an artist. When I first started applying post-production techniques to my architectural renderings, it wasn’t my favorite part of my workflow. Actually, I didn’t enjoy it at all. No matter how hard I worked, my images never looked as good as the people I inspired to be as good as. Today, it is probably my favorite part of my workflow. Hopefully I can inspire others to go that extra mile to learn what makes an image good art and not just technically okay. 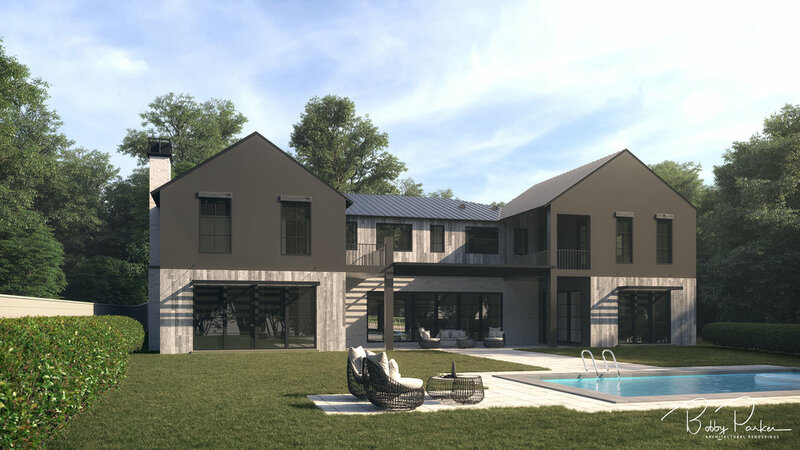 The Maris Peak house renderings is one of my resent favorites. I do enjoy doing these rustic home over the modern ones and I think it might show a little. I welcome 2019 with my first delivered set of architectural renderings. 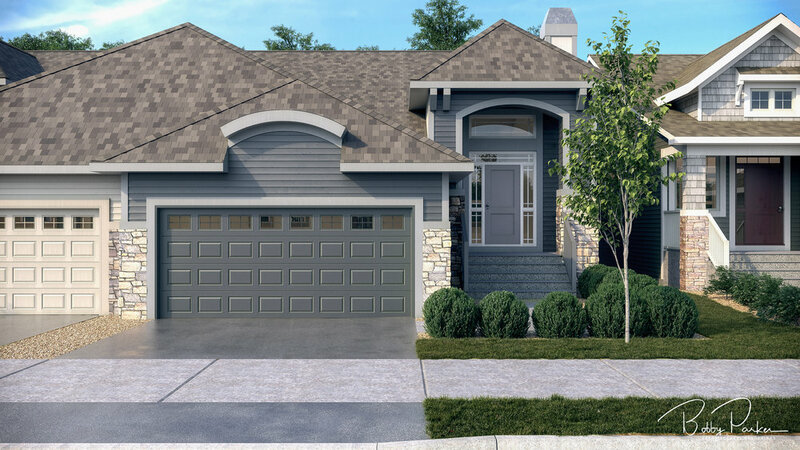 The Montrose Villa Duplex Renderings started mid-last year and although I do create a schedule, I try to remain flexible for my clients. This project in particular, the client wasn’t in the greatest of hurry, so it took awhile to get some information and feedback. 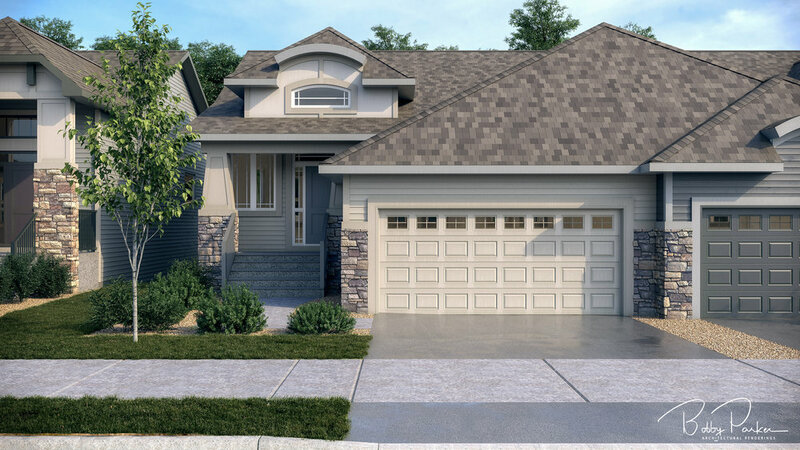 This is the first overcast after the rain renderings I did for this client, and he liked the look. With this client I do sets, which consists of a perspective and elevation of each house and then an overall streetscape. Happy New Year! This is my first post of 2019 and my last project of 2018. I have seen a trend of home designer and builders wanting to up their game with their house plans. 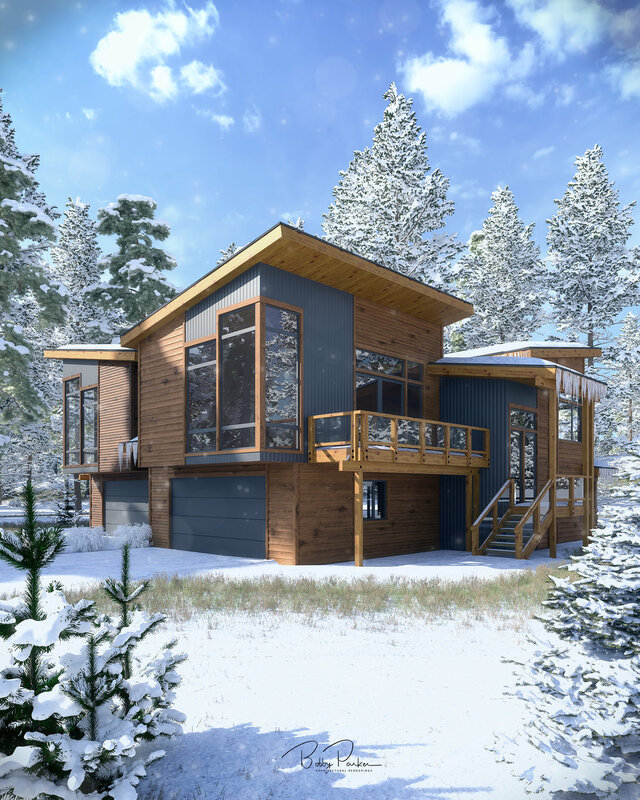 No longer can a low-budget architectural rendering cut it in today’s market. Buyers are smart and if you cut corners with marketing they wonder were you are cutting corners other places. Over the past year I have done a dozen or so Custom Kitchen Renderings. 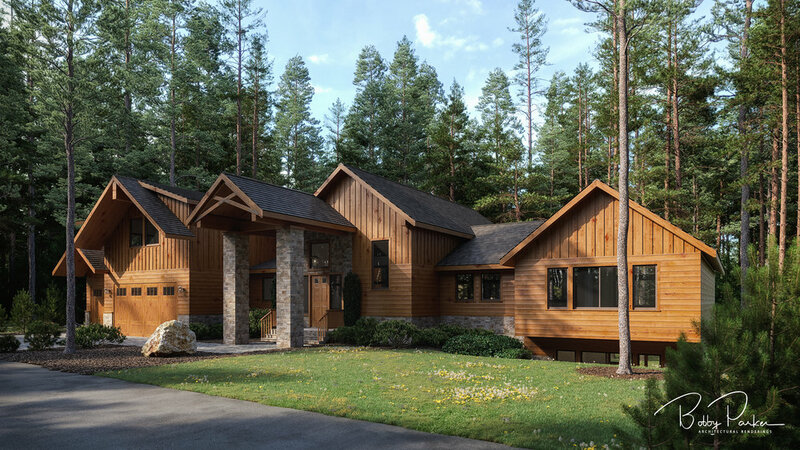 If a projects budget is tight, usually, other than an exterior rendering, my clients chose to do just one interior rendering, which is usually a kitchen. Custom Kitchen Renderings are time consuming, since they are usually very custom. From cabinet styles, to hardware, to plumbing fixtures and lighting fixtures, everything is hand picked and they need to be custom modeled. This Custom Kitchen Rendering started like most, from a set of 2-D CAD plans and CAD elevations. The colors and materials were chosen by the interior designer, along with all the furniture. I built the furniture and fixtures from the manufacturers specification sheets. 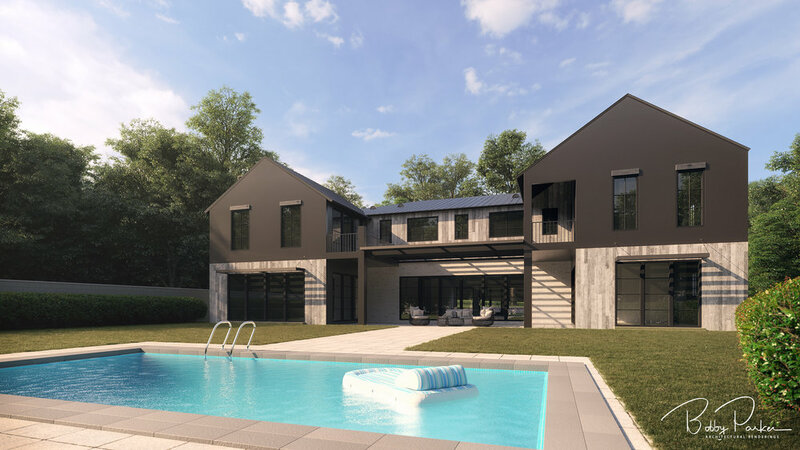 Modern house renderings, once rare, have now become pretty common in my portfolio. 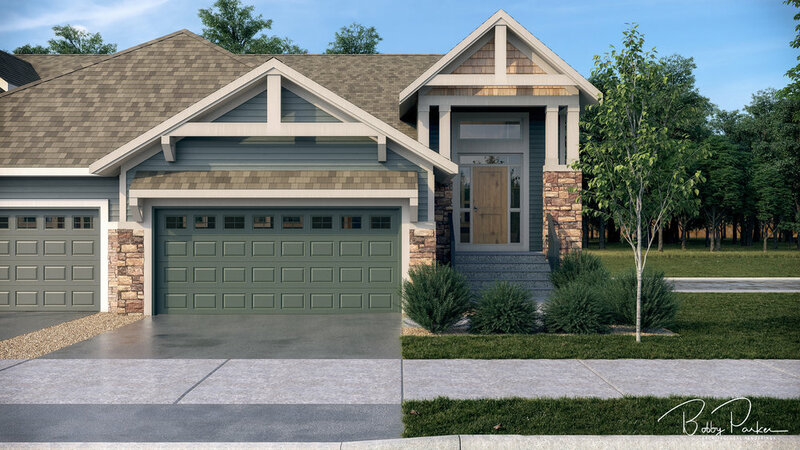 This rendering, the Sunset House Rendering, has some bold color an material choices that personally, I really like. 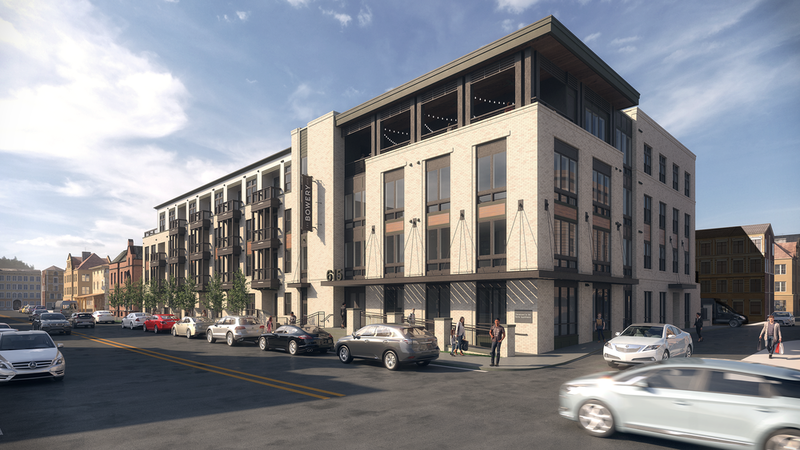 Here are some renderings of the Common Wealth Apartments that I was asked to illustrate by the projects architect. Kudos to my render engine, which is V-Ray NEXT. V-Ray NEXT handled the interior rendering and exterior rendering like a champ and in lighting speed. For the exterior rendering I had some subtle depth of field, motion blur, and all at 5K. The interior rendering was a 4K render and also had some subtle depth of field. Each project has its own life. This one started as a rush, however, all the information came to me really slow. If I remember correctly, I didn’t get needed details for a few weeks. Colors and materials took equally as long. Once I did get the information I needed, I was knee deep in other projects, so the college bar rendering had to be rescheduled. Anyway, I enjoyed it. All the furniture was custom modeled and I do like how it turned out. The objective was, natural materials in a woodsy environment. 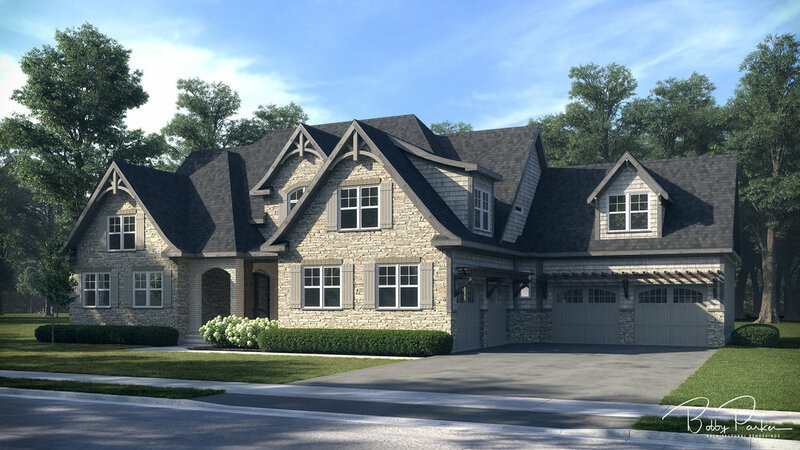 The Barr residence rendering is for a local architect, who has a client who couldn’t visualize the selected colors and materials for their dream house. I feel their fear and this is exactly why I got into the business of architectural renderings. Thanks to the following sites, I was able to obtain high-resolution texture that I color matched in Photoshop. Both sites have free accounts, however, I am a monthly subscriber to both, which gets me higher resolution textures. Earlier in my career I spent a lot of time perusing the internet for free textures and 3D models. Not until I starting work professionally and my workload was heavy did I realize that my time is of value and better spent other places, so I started purchasing the best money can buy and I subscribed to the best site available. This, is one of the steps I take to make my work better than most; high quality assets.